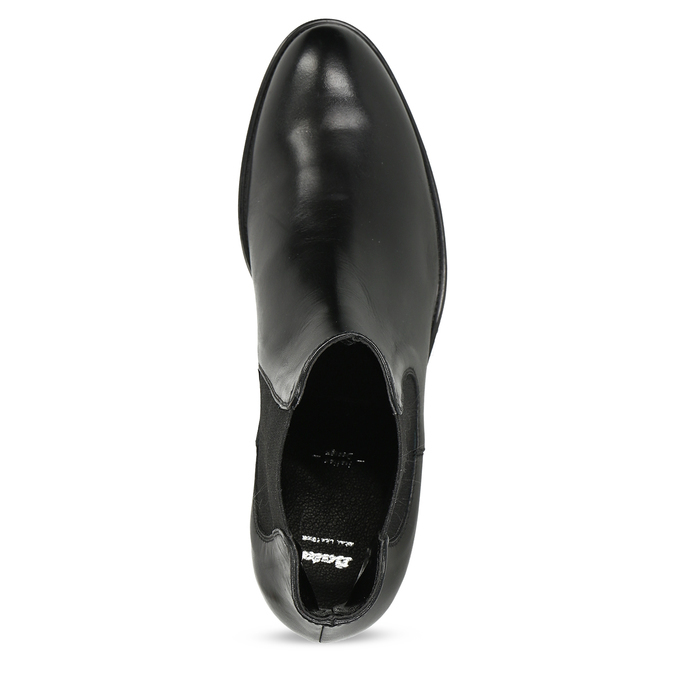 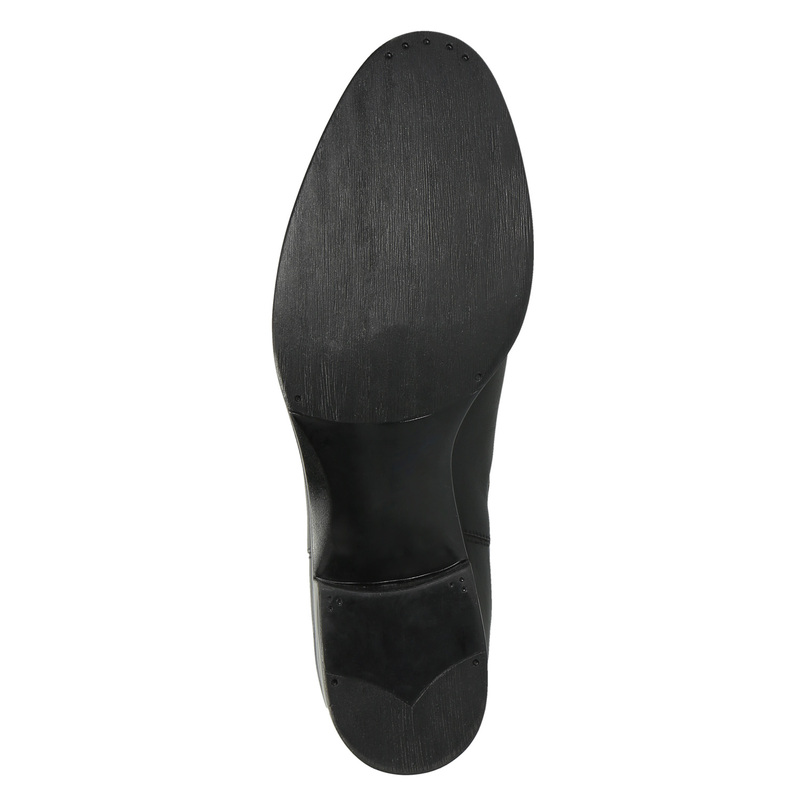 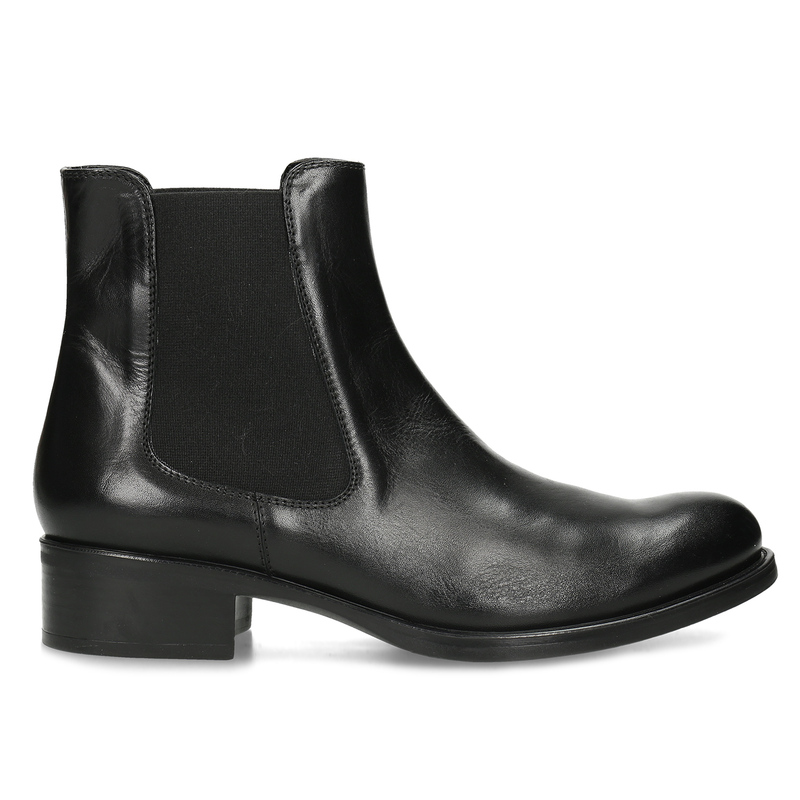 Leather Chelsea ankle boots with the typical elasticated sides to make them easy to put on, in timeless black. These have a low heel and will particularly appeal to lovers of minimalism – the design is lovely and pure, with just snazzy stitching on the upper. 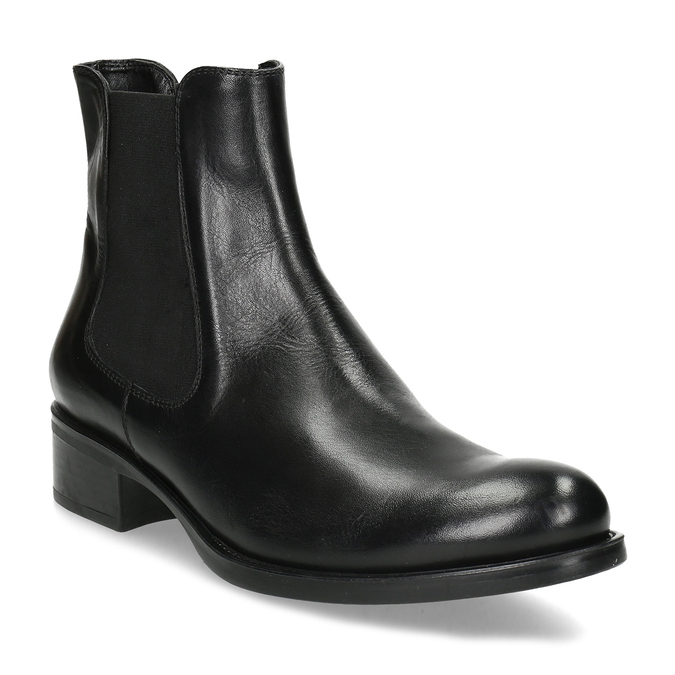 Combine with narrow Slim trousers and a leather jacket.